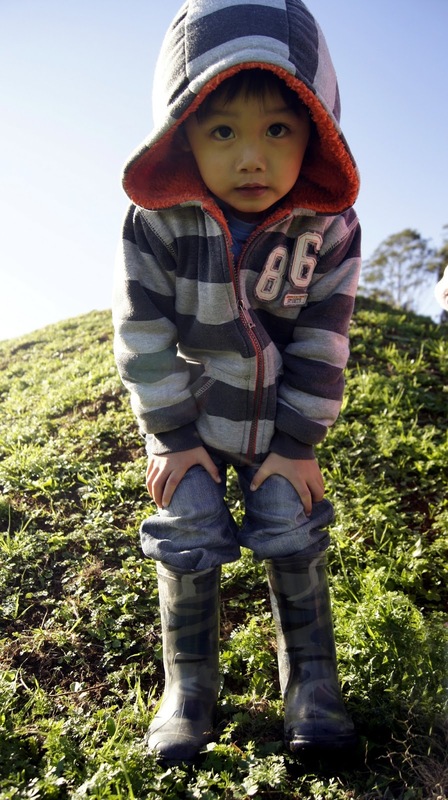 Wellington boots, Wellies, Rain-boots, gumboots. Whatever you call them, everyone should own a pair or buy some now. The cold, wet, rainy season has begun down here in little New Zealand after a whole summer of non-stop sunshine. Monsoon season is also hitting Asia so the weather will be a bit crazy! The rest of the world...well you can just enjoy your nice summer and the warm weather. In conservative New Zealand, I don't see many people wearing them around. Maybe because wearing rubber boots reminds them of the farmers' "gumboot". My goal is to change that so I don't look like a loner on the streets! Besides having practical reasons like preventing sad goodbyes to beloved shoes and preventing cold, wet feet, I think Wellington boots can be a fun and stylish way to dress up your outfit. With the styles out there these days, they really don't look like working boots anymore. Confession, I bought two pairs in close succession not long ago and I am open to a third pair if I see some jumping out of a shop window saying "buy me". 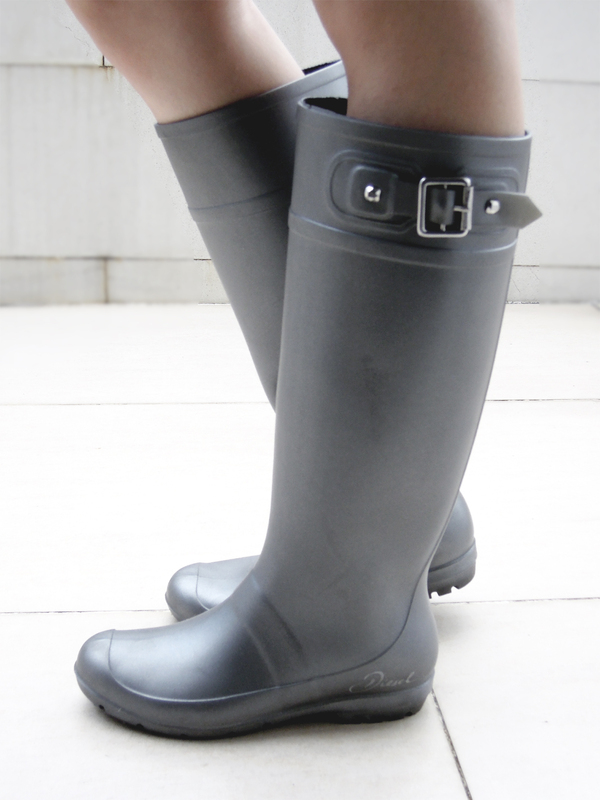 The Hunter boots are probably the most well-known high end Wellington boot brand. 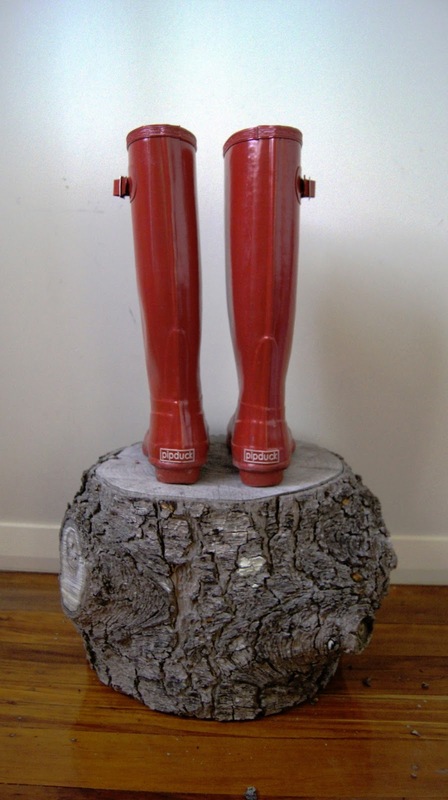 Unfortunately when I was roaming the city looking for my Hunters, I bumped into some red Pipduck's on sale ($50nzd!!) so I couldn't let them sit in the shop all alone; I made them my first! They are quite a long sturdy boot that sit just under the knee. My second pair are from a local design shop in Auckland and i just had to get them (despite being mistaken for a "stylish mum" while trying them on). These are a bit shorter and I just noticed it while looking at these pictures! Boots from Flying Saucers. Dress from Ingrid Starnes and belt from Karen Walker. My friend Model S wears a pair of grey Diesel Wellingtons with buckle detail. A more neutral coloured boot is easy to pair with everyday clothes. There are some cool Wellingtons out there these days. From pretty reasonably priced ones from local chains/department stores (not ugly at all!) 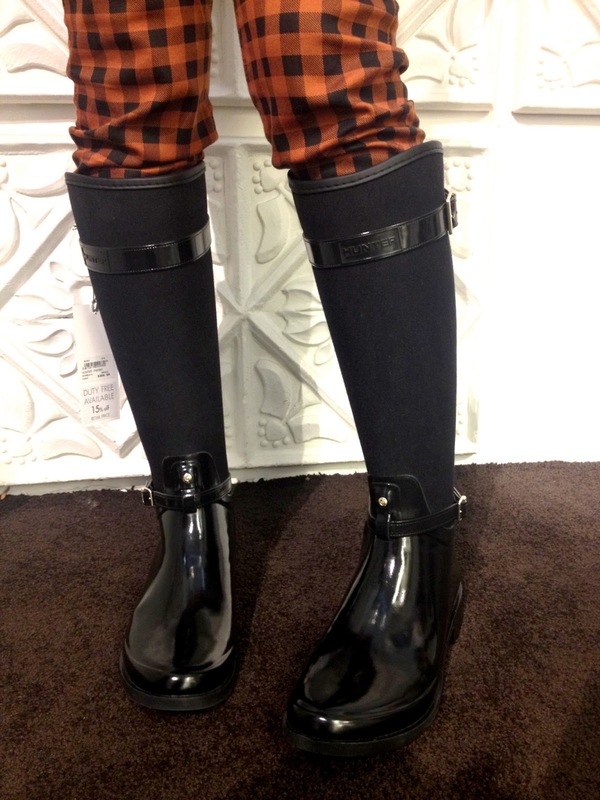 to the designer brands, there is a pair of Wellingtons out there waiting for you. 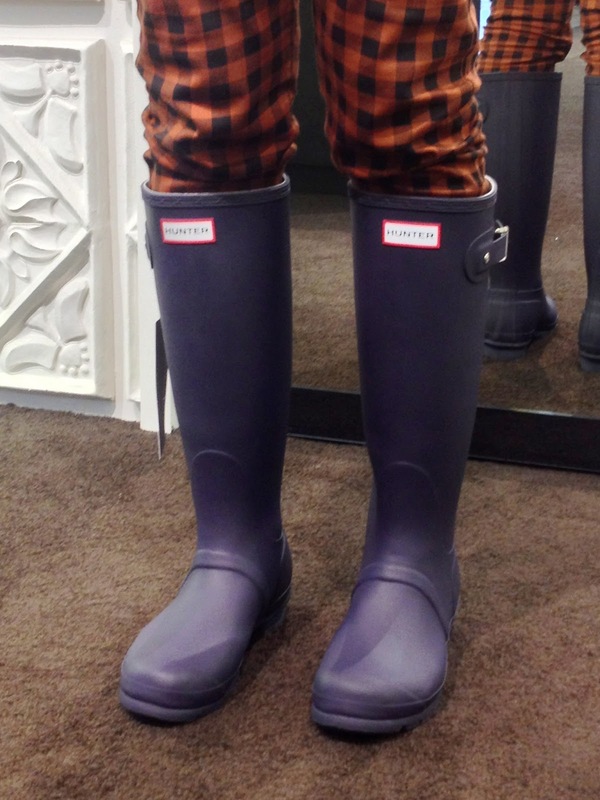 Of course I had to go for a looksy to do some (new) boots research and I tracked down a few pairs of Hunters. Sorry for the following pics but I was paparazzi-ing on an Iphone! I would love to see your Wellington boots. Please leave me a comment or tag me in Facebook! 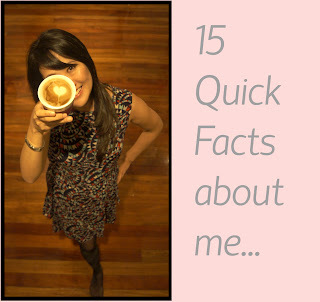 Hope you've enjoyed my first confession as much as I have enjoyed putting it together. Fingers crossed I can survive the next 4 days! fall in love with those boots!!!!!!! can u suggest me where the proper area and seasons to use that rubber boots?